As the result of a casual conversation between the owner and a member of the SDR based Devon Diesel Society arrangements were made at short notice to give Class 33, 33 202 a temporary berth on the SDR for repainting. 33 202 (originally D6587 when built), is run by Cotswold Rail and has been operating with them still wearing its old Fragonset livery of black with red stripe. 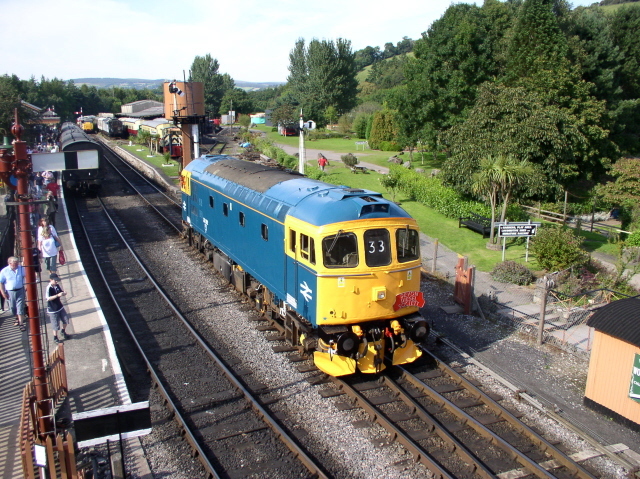 The engine arrived via the connection to Network Rail at Totnes on August 11th and moved in to the bay at Staverton Station where the repaint was started immediately. By Monday the engine had had its first coat of rail blue and between the showers the full repaint was complete by the 22nd. The engine returned to Network Rail on Thursday 23rd by means of heading the 4.30pm train from Buckfastleigh, top and tailed with Class 20 No 20 118 which worked the return service back, leaving the visitor to head back North from whence it had come. The South Devon Diesel Traction Class 33, 33 002 (D6501) will not thus be the first of its class to run on the line when it comes into traffic in a year or so's time. Work on 002 is progressing well with the bodywork repairs and paint job being all but complete. The engine overhaul is well advanced. 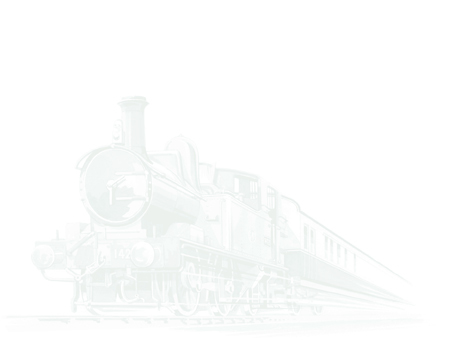 More details are on the South Devon Diesel Traction group website. from Buckfastleigh to Totnes on the 23rd August.